Pro Horse Training, at it’s Finest! Would you like to build better relationship with your horse through understanding, trust and respect? 100% Pure Horsemanship™ the best place to learn the best techniques to train your horse. This training teaches you, the horse owner, how to earn respect from your horse! With calmness and firmness,Horsemen’s Western Dressage will teach you the “5 Essential Exercises” to perform with your horse to make your horse responsive, balanced, collected,calm and willing. Training is with full care, hay included is $750 a month. You and Horsemen’s Western Dressage will determine exactly what you and your horse needs in terms of training. You are able to come see your horse, watch the training as it is done and have all your questions answered. Ruben feels that the more you know the better communication you can have with your horse. But…. it doesn’t stop there. 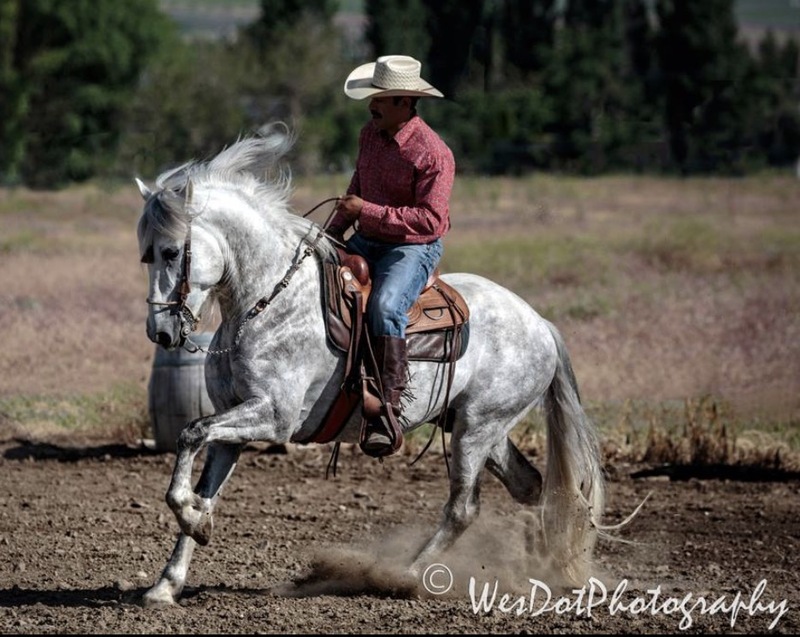 Ruben Villasenor has done countless training Clinics on almost ever subject you can think of. How to correctly fit and use the Bosal (hackamore) to maximize its effectiveness. You can host a 2 day 100% Pure Horsemanship™ training Clinic. 8 to 12 of your horse friends wanting knowledge of 100% Pure Horsemanship™. An arena available in your area, Horsemen’s Western Dressage will come to your location. Contact us. Either by phone 509-947-4125 or fill out the contact form below. Book your date, time and location. Ruben will consult with you to know which Clinic subject will benefit you and your friends the most. That’s it!!! The best part is whoever is the host of the Clinic (You), will ride the 2 days with your horse Free complimentary (no-charge). It is our way of saying thanks for helping us set up a clinic.